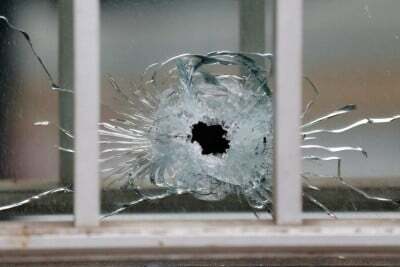 Masked gunmen with automatic weapons opened fire in the offices of a French satirical newspaper on Wednesday in Paris, the police said, killing 12 people and then escaping in a car. President François Hollande said the attack on the weekly, Charlie Hebdo, was “without a doubt” an act of terrorism and raised the nationwide terror alert to its highest status. He said that several terrorist attacks had been thwarted in recent weeks. However, despite Hollande’s feigned concern and outrage over the attack, it was the French government who had advocated and presided over the arming of terrorist groups across the Arab World in the West’s bid to overthrow nation after nation and reorder the entire region according to their own geopolitical and economic interests starting with the “Arab Spring” in 2011. While Hollande’s predecessor, former French President Nicolas Sarkozy would be the one to set foot in decimated Libya in the wake of NATO’s intervention there – which included in addition to French arms sent to terrorists, French planes providing these terrorists air cover as they carried out atrocities and genocide – Hollande would continue policies enacted under Sarkozy, both in Libya, and currently in Syria.French officials announced Wednesday that they had armed rebels in Libya, marking the first time a NATO country has said it was providing direct military aid to opponents of the government in a conflict that has lasted longer than many policymakers expected. Video that has emerged from the recent attack in Paris shows heavily armed militants expertly handling their military-grade weapons with precision and discipline – clearly the recipients of military training. Whichever flavor of “Al Qaeda” they hail from, they are a product of the global network of terrorism the West has purposefully created and perpetuates to this day in order to carry out a war of terror upon their own citizenry, as well as proxy wars against their enemies overseas. French complicity in arming militants in Syria especially, has long been a point of contention and fear among critics who have for years warned about “blowback.” However, it is unlikely that France, or its partners amongst this vast network of state sponsored global terror, did not anticipate such “blowback,” and were somehow unable to prevent such attacks if desired. In other words, what the attacks in Paris appears to be, is another of NATO’s “Operation Gladio” style attacks on the European people in an insidious bid to manipulate public perception as well as the regional political landscape. Funded by the US, trained in Britain and maintained as paramilitary extremist groups throughout Europe during the Cold War, NATO’s so-called “stay behind networks” were supposedly created to activate in the wake of a full-scale Soviet invasion of Western Europe. Instead, they were used to stage false-flag attacks, killing and maiming hundreds of Europeans with their atrocities blamed on the Soviet Union and their European sympathizers. The attacks and assassinations were used by NATO to manipulate public perception and reverse gains by political groups operating beyond NATO’s control. 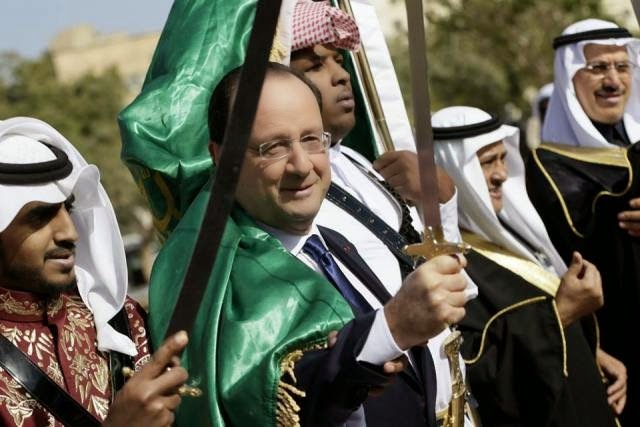 Image: French President Hollande in Saudi Arabia – among the most prolific state-sponsors of global terrorism on Earth and an irreplaceable partner in NATO’s bid to reorder the Arab World. Likewise, Al Qaeda and its various franchises including its most recent and notorious, ISIS, is being used simultaneously as a domestic menace and a foreign expeditionary mercenary force. Indeed, out of one side of President Hollande’s mouth he would condemn the attacks in Paris, and out of the other, continue calling for the arming and backing of the very networks this attack originated from in order to continue the campaign of violence and terror in Syria. Regardless of whatever investigation yields whatever conclusion, the fact that NATO has engineered such attacks in the past against the very people it claims to exist to protect, makes NATO and the various political leaders at the head of its respective member states prime suspects – both incapable of conducting an impartial investigation of the recent attack, and incapable of preventing another attack, likely engineered not from enemies beyond Europe’s borders, but exceptionally dangerous enemies within them.